South Africa's Vitality Group Has a Healthy Start in the U.S. When the Vitality Institute was launched in New York in May this year, its very first finding stunned the room. Using data from the National Health and Nutrition Examination Survey—the new wellness research arm of The Vitality Group, which is a member of South Africa-based Discovery Holdings Limited—Vitality revealed that Americans are, on average, five years older than they thought, and a quarter of Americans are more than eight years older than what their birth certificates suggest. But just as remarkable were the stories of slashed health risks and insurance costs emerging from the roughly 3 million Americans who have enrolled in the Vitality wellness program since its rollout in 2008. 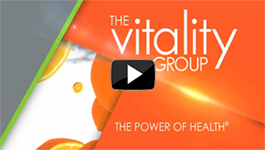 Originating as part of a revolutionary insurance product under the Discovery brand in South Africa in 1997, Vitality has since been widely credited with pioneering a global wellness movement to incentivize changes for healthier lifestyles. In a partnership with Prudential, also called PruHealth, Vitality has already had a major impact in the U.K. as a health insurance benefits scheme. But Tal Gilbert, Vitality’s Senior Vice President for Marketing in the U.S., says the costs of unhealthy staff lifestyles for American employers—including average annual insurance costs of $12,000 per employee, as well as productivity losses associated with obesity and diabetes—were so severe that Vitality has been rapidly adopted as a stand-alone wellness and preventive disease model in the workplace. Using actuarial science modeling and personalized health risk reduction solutions for each employee, Vitality offers core online programs for exercise and nutrition, driven by incentives ranging from lower premiums to store discounts and the pride of measurable health status goals. However, Gilbert says the basket of incentives has been rapidly expanding, particularly following a partnership with Humana, and that many of these incentives were boosting healthy behaviors in a risk-reducing cycle, which seems to offer a glimpse of a future global trend. For instance, Avis employees enrolled with Vitality will receive 10-percent discounts on healthy foods purchased from Walmart under the under the “Great For You” brand. This follows a major study by the Rand Corporation, which revealed that members in South Africa who were offered similar discounts upped the ratio of healthy food purchased in their grocery baskets by 9.3 percent. In yet another reinforcing health improvement cycle, Gilbert says a number of food manufacturers in South Africa are now asking how to modify their products in order to be included in Vitality’s healthy foods list. Thus, the battle against both health risks and costs is being increasingly fought with an array of carrots rather than cheese sticks. Born in Johannesburg and trained in actuarial science at the University of the Witwatersrand and in development studies at Oxford University, Gilbert made the switch to product development and marketing in the U.K. after the Discovery-Prudential partnership was struck. He moved to the U.S. in October after a four-month stint in Hong Kong, where he led the formation of a joint venture between Discovery and Asian insurance giant AIA. This partnership was launched in July. Gilbert says many U.S. members participating in the wellness programs were starting to see their health improve while their employers benefited from similar improvements in the health of their staff and boosted productivity. In many cases, the changes were so marked—and their potential so revolutionary for the U.S. as a whole—that the Vitality Group launched the Vitality Institute as a dedicated source of evidence-based research into health promotion and non-communicable disease prevention. At the launch, Nomonde Xundu, health attaché for the South African embassy, suggested that a South African idea could revolutionize the economics of health in the American workplace. Gilbert said the Vitality idea—for insurers to incentivize a change to healthier behavior among its customers—came directly as a result of a unique post-apartheid challenge to keep insurance premiums and claims low when the resources of a national healthcare system are suddenly refocused from serving 5 million people to 45 million. Launched in 1992 by Adrian Gore, Discovery has grown to become one of South Africa’s largest and most successful companies. Gore was selected as Entrepreneur of the Year in 1998, CEO of the Year in 2004 and Business Leader of the Year in 2010, a period in which Vitality acted as an engine for growth. It has since developed the Vitality model along with some of the world’s largest insurers, including Humana, Prudential, AIA and Ping An in China. In March this year, Finweek declared that the Vitality program should be considered among South Africa’s greatest inventions. When Mel Leibach, an Illinois human resources manager, was 63 years old, he was really 72. A clinically verified Vitality assessment showed that his “true age”—after major surgeries and years of poor diet and exercise—was dramatically higher than his chronological age. Now, at age 65, Leibach’s true age has been revised to 63, according to his latest health risk assessment, while his productivity at West Star Aviation has increased. Having committed himself to the healthy nutrition and exercise regimens on the Vitality program, including bicycle-riding and a low-cholesterol diet, Leibach reduced his weight by 50 pounds and lowered his blood pressure and cholesterol levels to acceptable levels. Leibach says workplace encouragement among the staff in achieving Vitality goals drove his success. “The personal ful­fillment you get comes not only from feeling much better physically and emotionally, but also from the opportunity to help someone else,” he says. On average, an employer is paying about $12,000 per employee per annum for healthcare, which is a huge proportion of payroll costs. They’ve seen the prevalence of obesity, diabetes and even smoking, which was having a huge impact on employee performance and health costs. Now, Vitality is set to lead the field in research as well. Gilbert says the Institute would collaborate with academic institutions, NGOs and the private sector to produce data on both the clinical and motivational factors behind lifestyle-driven diseases. The institute is headed by Dr. Derek Yach, a South African epidemiologist who was formerly Head of Global Health for PepsiCo. He also served as Executive Director of the World Health Organization.